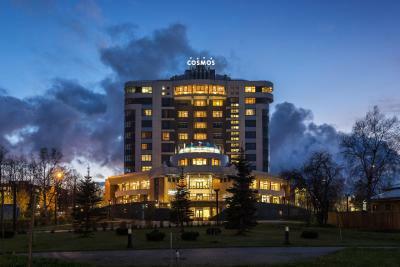 Lock in a great price for Cosmos Petrozavodsk Hotel – rated 8.9 by recent guests! The location, room arrangement for 2 familes, breakfast buffet & staff support. The breakfast offered a lot of fresh options, shower had strong water pressure, rooms are large, front desk staff is very helpful, free welcome drink turned into a free welcome bottle! Bed was comfortable. Room was large and had a nice view. 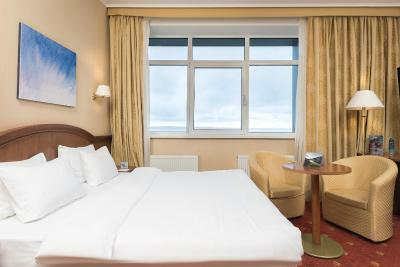 The room was very spacious and offered a great view over the lake (very nice sunrise). 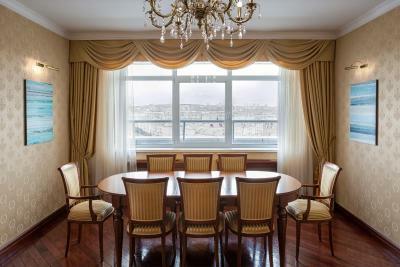 Curtains were good (not so usual in Russia). Everything was clean. Friendly English speaking staff. I liked the food in the tavern on the ground floor. I had a few requests of Reception and they resolved each one promptly and perfectly. This hotel has everything a traveler needs. It's clean, it's comfy, in an excellent location, a selection of food options, interesting menu. Absolutely brilliant location. We got a lake facing room, and the view from the room was spectacular. Very helpful Staff. Reception staff could speak English, and went out of their way to help us with special requests for vegetarian food. The restaurant on the top floor is very nice - great views, good food, classy service. Room was clean and spacious. Bed was nice and sheets were spotless. 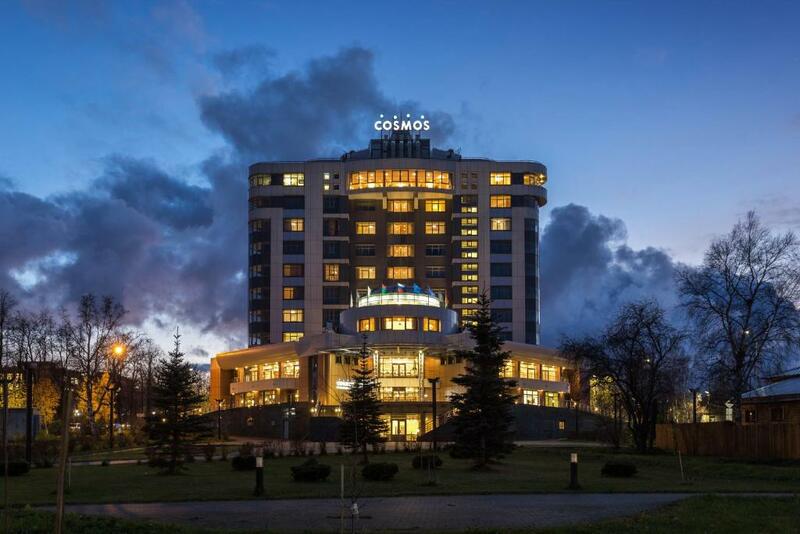 Cosmos Petrozavodsk Hotel This rating is a reflection of how the property compares to the industry standard when it comes to price, facilities and services available. It's based on a self-evaluation by the property. Use this rating to help choose your stay! One of our top picks in Petrozavodsk.This modern hotel is located directly on the Petrozavodsk waterfront, on the shores of Lake Onega. The hotel's building is shaped as a ship and offers a panoramic restaurant and a lobby bar. Free WiFi is available throughout the property. Free private parking is offered. 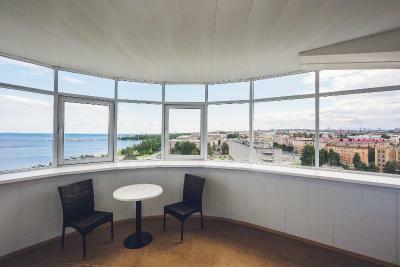 The Cosmos Petrozavodsk Hotel features a large foyer with a glass roof, comfortable leather sofas and a piano. Rooms are spacious and offer air conditioning, a work desk and flat-screen TV. 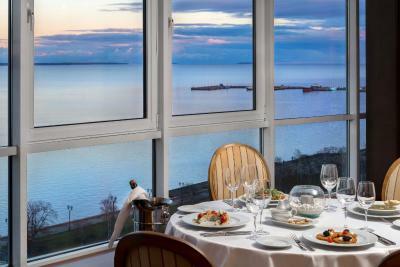 The Panoramny Restaurant on the 11th floor has large windows and offers a panoramic view of Lake Onega. It serves Russian and European cuisine. Hotel's location in the city center allows guests to explore UNESCO World Heritage sites. Many shops, cafes, museums and theaters are located on the nearby Lenin Avenue. 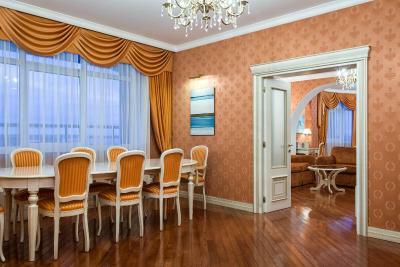 It is a 10-minute drive from Petrozavodsk Train Station and a 30-minute drive from Besovets Airport. 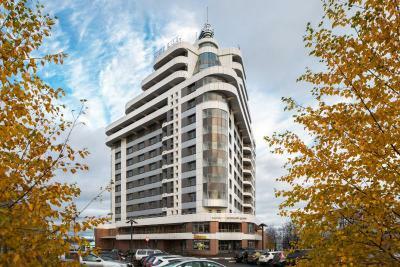 When would you like to stay at Cosmos Petrozavodsk Hotel? 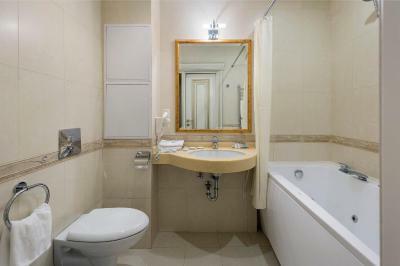 Air-conditioned room has a flat-screen TV, a minibar and a private bathroom. 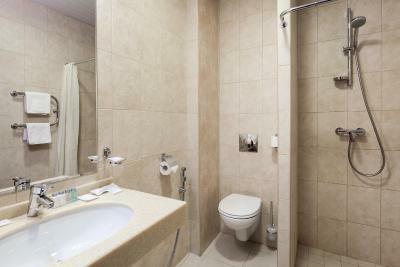 Air-conditioned room offers a flat-screen TV, seating area, working desk, mini-bar and private bathroom. 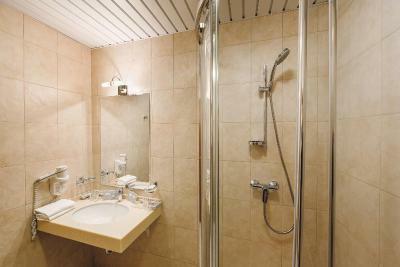 Air-conditioned room offers a flat-screen TV, a mini-bar and a private bathroom. Features extra space, and some rooms have a balcony. 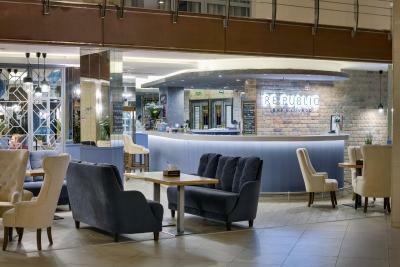 House Rules Cosmos Petrozavodsk Hotel takes special requests – add in the next step! Cosmos Petrozavodsk Hotel accepts these cards and reserves the right to temporarily hold an amount prior to arrival. Please note a plunge pool is available at surcharge. Our standard double room wasn’t clean enough, hairs sometimes were found. Quite surroundings, but still central. Fine view over Onega lake! The breakfast is not bad, but certainly not 4 stars (and yes I'm comparing with other hotels in Russia). One morning the fruit was finished before I could get any and when I asked some more, they only had oranges. The next morning there was no fruit at all. Several times somethings were finished and you had to ask waitresses to bring it. Warm food was not warm enough. 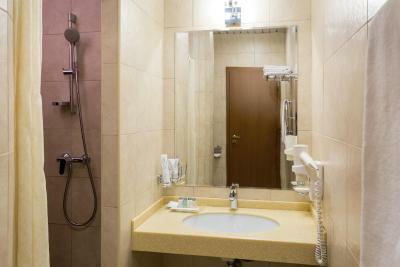 A 4 star hotel with a small shower with a plastic curtain? Isn't that something from the previous century? The breakfast staff is not as friendly as the lobby staff and although there were plenty of options, the food is pretty much the same every day so I got bored of it after 4 days. No negatives. Keep up the good work! Food in the bar and restaurant is of the average quality - it's OK but not spectacular. Great location next to Onega lake. Welcoming and nice staff, especially in lobby bar.